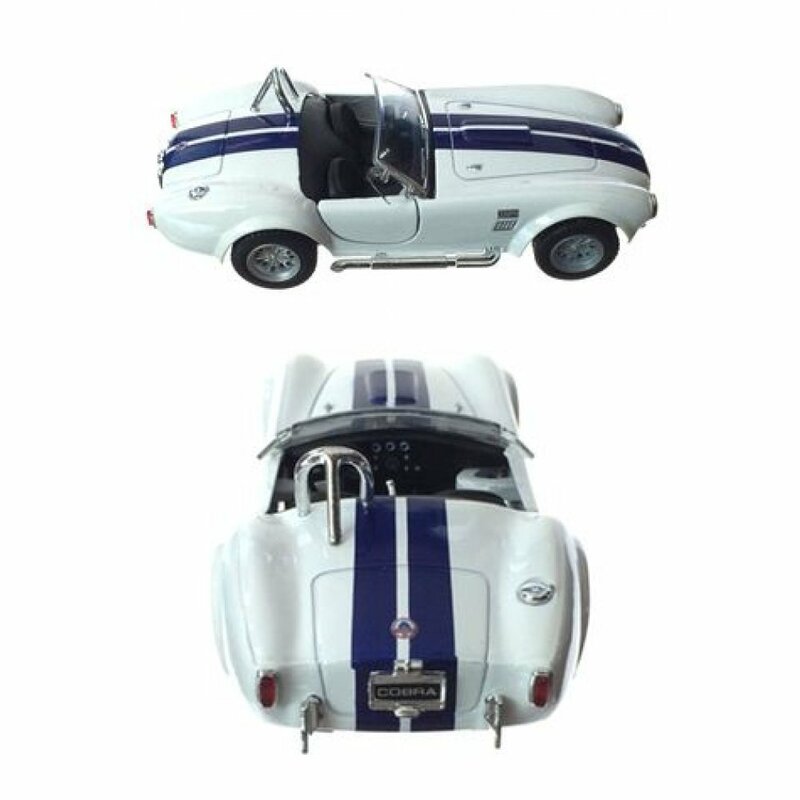 Now you can own a classic bright white 1965 Shelby Cobra - a beautiful British Shelby body with an American Ford engine! 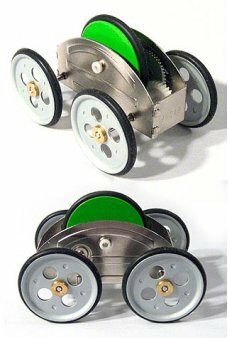 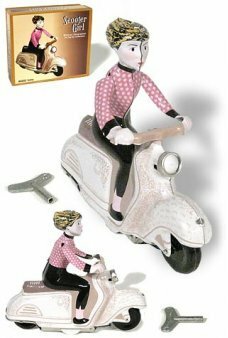 Just pull back on the black rubber wheels to start the fast racer into action. 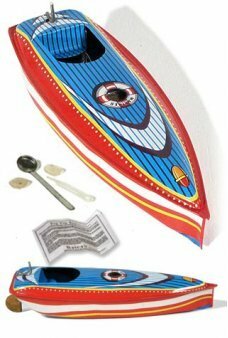 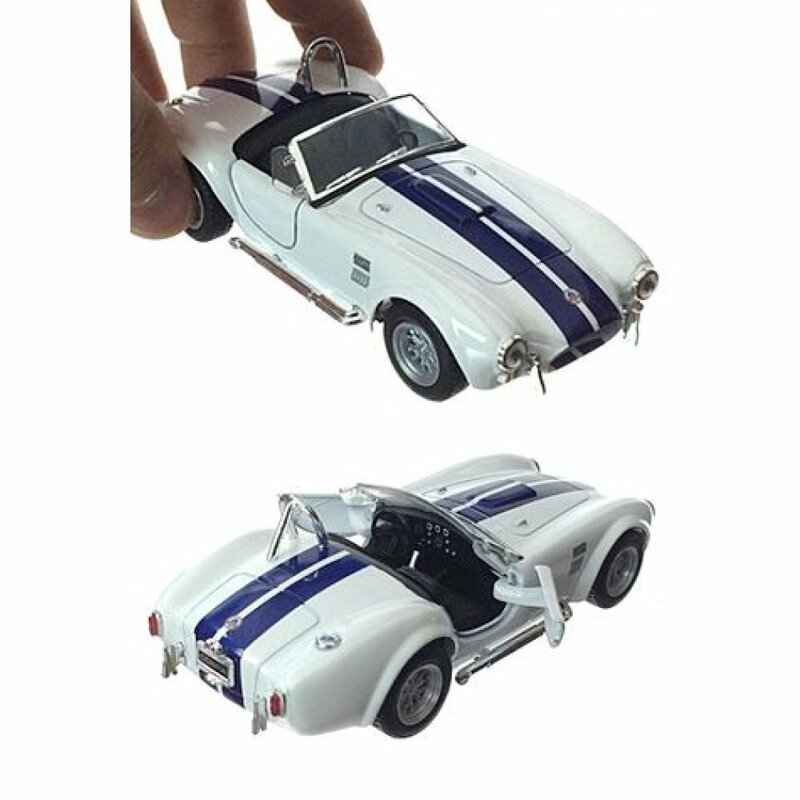 This toy Shelby Cobra 427 S/C is an official licensed product of Ford Motor Company. 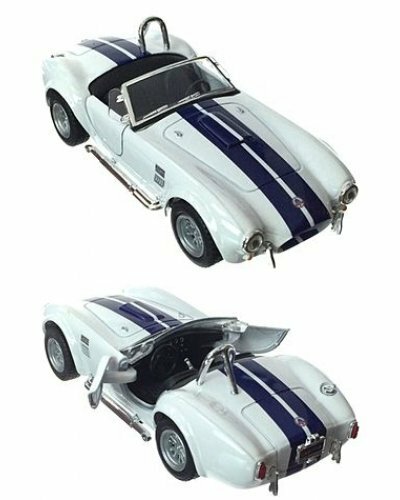 This beautiful blue striped Shelby Cobra die-cast racer is a 1:32 scale toy with silver details, real rubber tires and a plastic chassis. The doors really open too.